Answers all questions about the practice and methods of biodynamic farming and gardening. * How do you make and use the key preparations, such as horn manure and horn silica? * How do you develop living, fertile soil? * Which treatments are best for controlling weeds, pests and disease? This second edition also has extensive new chapters on large-scale farming, including livestock and cereal cultivation, and vegetable farming. The whole book has also been completely revised and updated. 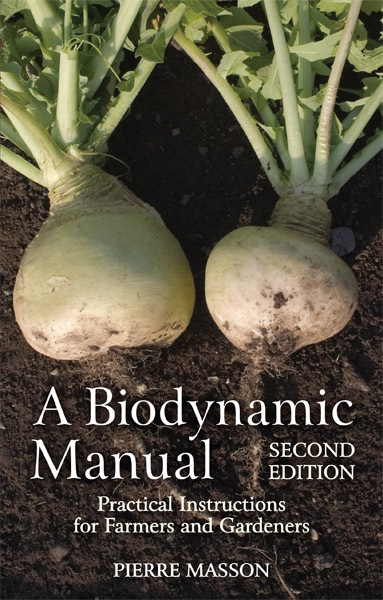 Although the technical aspects of biodynamic growing are exhaustively covered, the author also considers the human qualities necessary for this kind of agriculture to succeed. 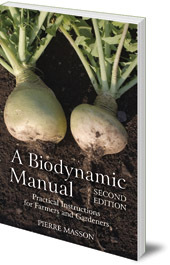 This is an invaluable guide for all biodynamic growers to have to hand daily. After 22 years of practicing biodynamic agriculture on a mixed farm in Burgundy, Pierre Masson turned his skills and knowledge towards advising and training in the field of biodynamics. His own experience on the land and his visits to a wide range of farms and gardens over 35 years have given him a broad and practical vision of biodynamics.